Why hello there! It's been almost 5 months since my last post... I promised to come back in January, and then I let the blog fall out of my routine. To my readers, I am very sorry for disappearing for so long. Life has seemed to pick up pace in 2013, and what was meant to be days between recipes quickly turned into months. If you'll find it in your food blog reading hearts to forgive me, I'll try to get back into the groove and post more regularly. Few things seem to get my creative cooking juices flowing more than a weekend trip to Cape May, so with this succulent feast of crab, I jump back into Ty's Kitchen. 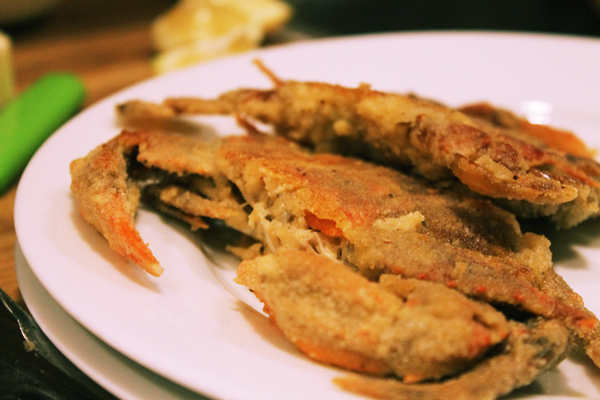 Cape May has incredible seafood, and one seasonal specialty that actually comes from a bit further south in Maryland is soft shell crabs. 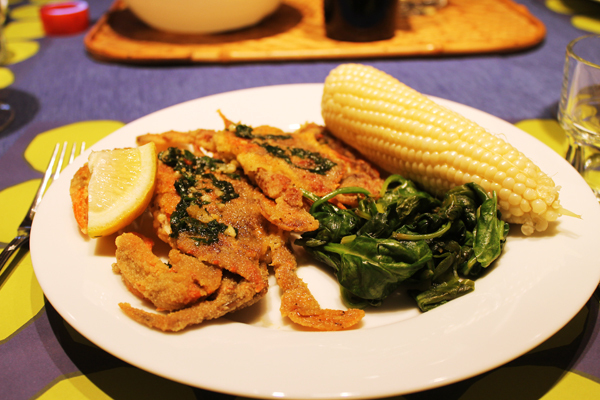 Soft shell crabs are typically blue crabs from the Chesapeake Bay which are molting their shells. The period when they're available usually runs from May to September, and there's really no better time to eat crab. 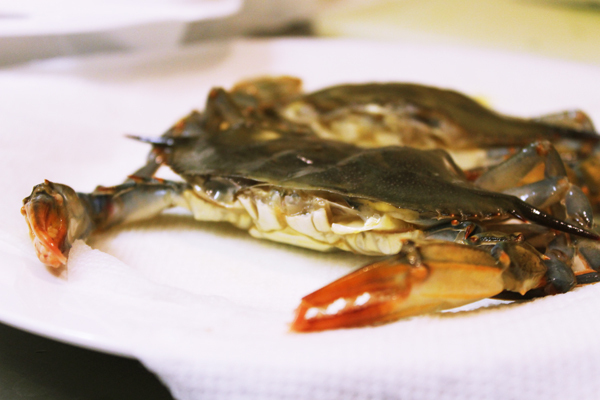 I don't prefer crabs over other shellfish because of all of the messy work that goes into cracking the shells and extracting the small amount of meat in each crab, but with soft shells, you can eat the whole thing, so your hands are clean and your belly is full of juicy, delicious crab. My fiancée's mother, Carol, is a master soft shell chef, so I had her show me her method of cooking them. First thing you want to do is have the crabs cleaned. If you're buying them live from a fish market then they will clean them for you, but if you want to do it yourself, the best place to learn is checking out a couple how to videos on Youtube. Basically cleaning them consists of removing the tail, eyes, and gills. Pretty quick and easy, but even easier when left to the pros. Once your crabs are clean, you should wash them and pat them dry. Then mix an egg and a little water and pour some fine bread crumbs or corn meal on a sheet of wax paper with salt, pepper, and Old Bay for seasoning. 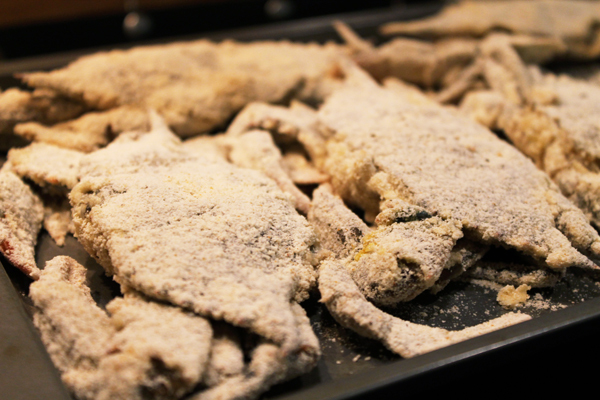 Dip each crab in the egg wash and then the bread crumbs and set aside until they're all coated and ready to cook. 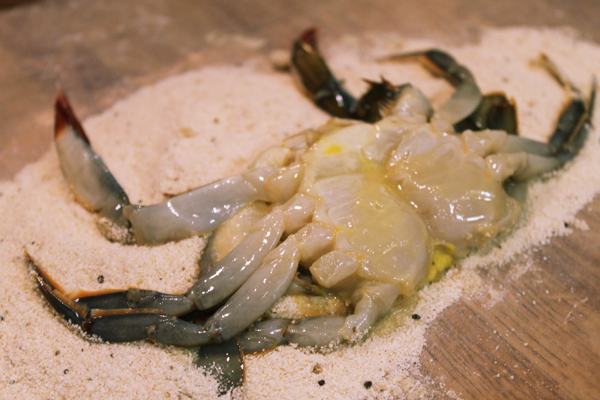 Heat up some butter and oil in a pan, and pan fry the crabs until they're golden brown and crispy. Toss a little more butter, some chopped garlic, and parsley in the pan and scrape up the pan drippings to make a nice butter sauce to top them off. They will be simply delicious and quite easy to make. Enjoy! Crab are probably on number one of my food list. Unlucky, I have never been able to find them. If I do, I'll try your recipe for sure, it looks delicious.